Create a streamlined scarf display using our Black Scarf Hangers. Perfect for displaying individual scarves these hangers measure 6"H x 5"W with a divider bar in the center to easily hang your scarves. 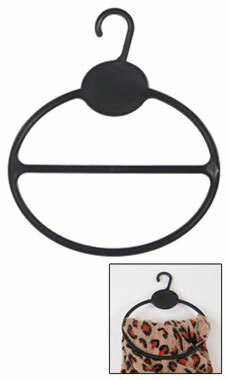 Sold in a package of 50 hangers, these Scarf Hangers are a must have for any retail store! Shop our wide selection of scarf hangers today!